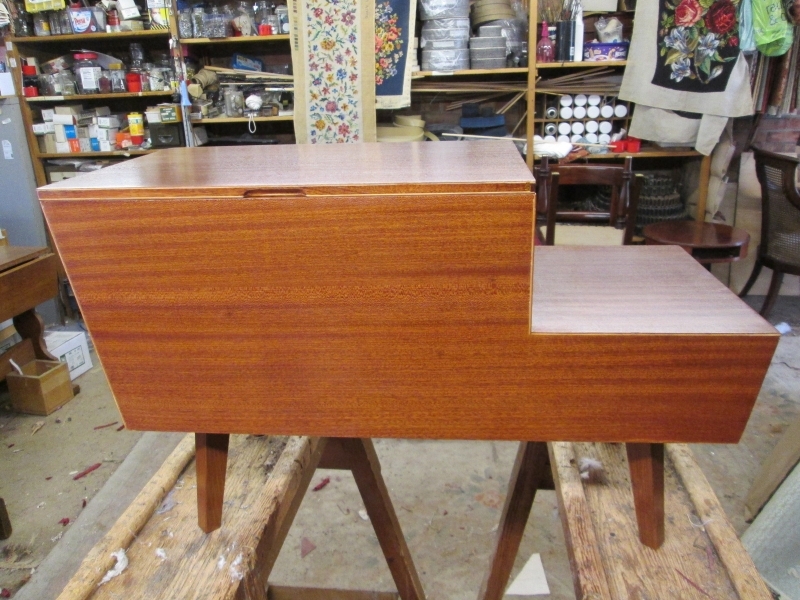 Constructed from plywood, teak veneer and solid teak. An excellent designer box/table with internal sliding storage, designed by Peter Hayward for the company Vanson. 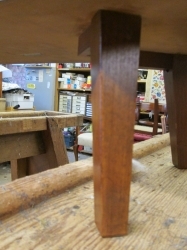 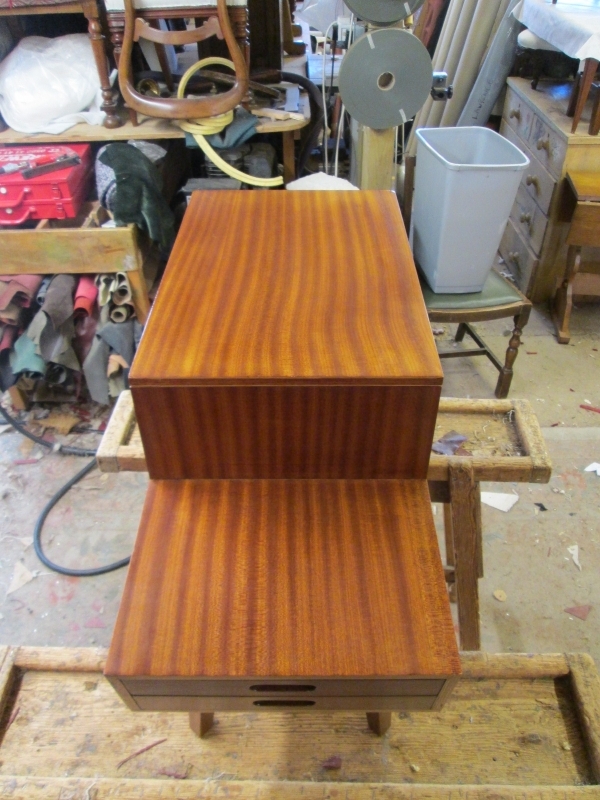 I have fully restored this table box by re-polishing it internally and externally with the finest shellac and wax. 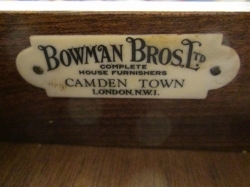 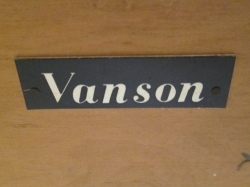 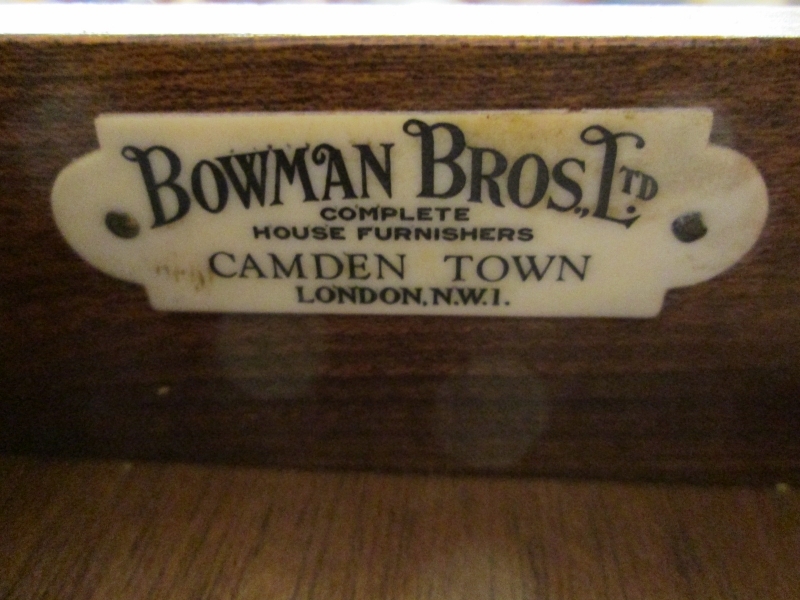 The Vanson makers label remains along with the Campden Town, London retailer plaques. Incredibly stylish storage with a tier to hold a lamp etc. 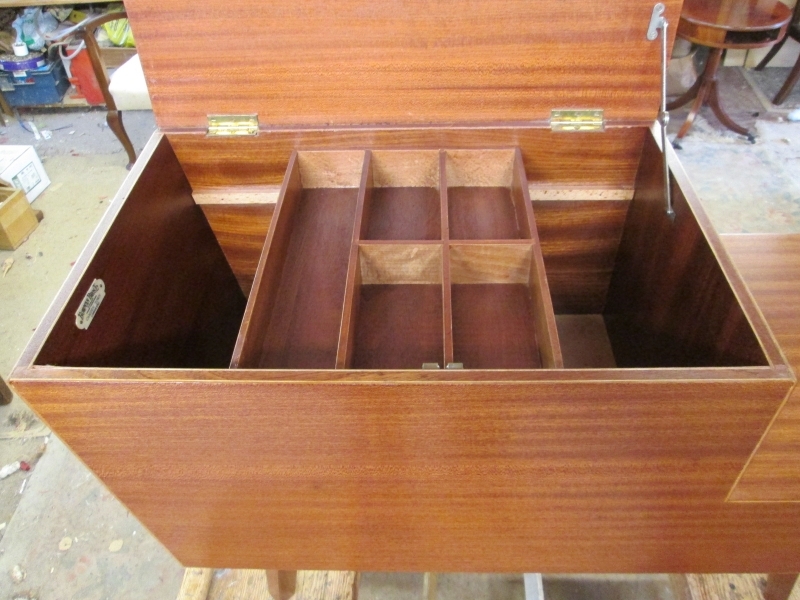 Now immaculate again for use and display. 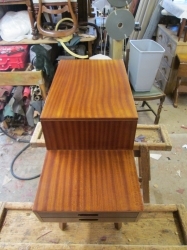 Dimensions - height 45.5 cms, width 74.5 cms, depth 33 cms.